James Ronald Ryun (born April 29, 1947) is a former American politician and track and field athlete. He won a silver medal in the 1500 m at the 1968 Summer Olympics, and was the first high school athlete to run a mile in under four minutes. He is the last American to hold the world record in the mile run. Ryun later served in the United States House of Representatives from 1996 to 2007, representing Kansas' 2nd congressional district for the Republican Party. I'd go to bed at night and I'd say, "Dear God, if you've got a plan for my life, I'd appreciate it if you'd show up sooner or later because it's not really going very well." I found myself trying out for the cross-country team and running two miles even though I'd never run that distance before. All of a sudden, I made the team, I got a letter jacket, and I started thinking there's a girlfriend behind the letter jacket. But that's how it all began. In 1964, as a high school junior at Wichita East High School, Ryun became the first high school athlete to run a mile in under 4 minutes. His time was 3:59.0. His time of 3:55.3 in 1965 was a high school record that stood for 36 years. Ryun ran a sub-four minute mile five times while in high school. He is the only high school athlete to have run more than three sub-four minute miles. As a high school senior he was voted the fourth best miler in the world by Track & Field News. ESPN.com named him the best high school athlete of all time, beating out people such as Tiger Woods and LeBron James. He was Track and Field News "High School Athlete of the Year" in 1965. Ryun participated in the 1964, 1968, and 1972 Summer Olympics. At age 17 years, 137 days in 1964, he remains the youngest American male track athlete to ever qualify for the Olympics. In 1968, he won the silver medal in the 1,500 meters in Mexico City, losing to Kip Keino from Kenya, whose remarkable race remained the Olympic 1,500-meter record for 16 years. Before the race, Ryun had thought that a time of 3:39 would be good enough to win in the high altitude of Mexico City. He ended up running faster than that with a 3:37.8, but Keino's 3:34.9 was too tough to beat at that altitude. Keino moved into the first position with two laps to go (800 meters) at world record pace. Ryun continued to move up during the last two laps from eighth to second but was never closer than about 30 yards from Keino. Years later, in 1981, he told Tex Maule in an interview for The Runner magazine, "We had thought that 3:39 would win and I ran under that. I considered it like winning a gold medal; I had done my very best and I still believe I would have won at sea level." Ryun was attacked by some writers who believed he had let his nation down. "Some even said I had let down the whole world. I didn't get any credit for running my best and no one seemed to realize that Keino had performed brilliantly." In the 1972 Munich, Germany, Games, he was tripped and fell down during a 1,500-meter qualifying heat. Although the International Olympic Committee (IOC) acknowledged that a foul had occurred, U.S. appeals to have Ryun reinstated in the competition were denied by the IOC. Ryun's 1,500-meter world record, run in the Los Angeles Memorial Coliseum during the United States vs. British Commonwealth meet in July 1967, was one of Ryun's greatest running performances. Track and Field News reported that "after 220 yards of dawdling, a record seemed out of the question." However, after 440 yards, which Ryun, in third, passed in 60.9 seconds, Kip Keino took the lead and ran the next lap in 56 seconds (the fastest second lap ever run at the time). Ryun, just behind, passed the 880-yard mark in 1:57.0. At 1,320 yards the two were side by side in 2:55.0. Ryun pulled away to finish in 3:33.1, a record that stood for seven years. With last 440 yards of 53.9, a last 880 yards of 1:51.3, and the final 1320 yards in 2:47.4, Cordner Nelson of Track and Field News called it "the mightiest finishing drive ever seen," and said of Ryun's performance, "This was most certainly his greatest race." Because 880 yards is longer than 800 meters, the 1:44.9 was converted into an estimated en-route-time at 800 meters of 1:44.3, which equaled the existing 800 meters world record, but was not ratified as a record in that event. The 880 yards mark remained the world and American record until broken by Rick Wohlhuter's 1.44.6 in 1973. The 3:51.1-mile mark remained the world record for eight years until broken by Bayi's 3:51.0 in 1975. In 2005, Ryun scored 0 percent on the Republicans for Environmental Protection ("REP") scorecard. There were 12 issues that were considered by the REP to be critical environmental issues. 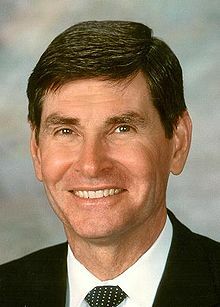 Jim Ryun voted with what the REP would consider pro-environment on none of the issues voted upon. These issues consisted of the drilling of oil and natural gas, Congressman Richard Pombo's bill designed to weaken the Endangered Species Act of 1973, an amendment to the Energy Policy Act of 2005, by Congresswoman Lois Capps to remove section 1502, a provision that would provide liability protection for manufacturers of the gasoline additive MTBE, and the movement to increase fuel economy standards. After Rep. Mark Foley resigned in October 2006, following revelations he had sent sexually explicit e-mails to teenage congressional pages, Ryun contended that he barely knew Foley, had never spent time with him and was unaware that they lived directly across the street from each other in Washington, D.C. "I know that [we were neighbors] only because somebody has mentioned that, too, already," he told reporters at the time. However, it was later revealed that Ryun and Foley had hosted a joint fundraiser on their street on May 18, 2006, called the "D Street Block Party." An invitation to the fundraiser included side-by-side pictures of Ryun and Foley. Ryun's campaign manager later said that Ryun had always known he was Foley's neighbor. ^ a b Fraioli, Mario (November 29, 2010). "The Best Ever: Exclusive Interview With Jim Ryun". Competitor.com. Retrieved March 17, 2014. ^ "The List: Best high school athletes ever". ESPN. ^ "High School Boys Athletes of the Year". Track & Field News. Archived from the original on August 10, 2017. Retrieved August 11, 2017. ^ Richard Hymans. "The History of the United States Olympic Trials — Track & Field" (PDF). ^ Tim Wendel (March 12, 2013). Summer of '68: The Season That Changed Baseball--and America--Forever. Da Capo Press. pp. 162–. ISBN 978-0-306-82248-3. ^ Gambaccini, Peter (October 27, 2006). "Chat: Jim Ryun and Marty Liquori". Runner's World. Retrieved March 17, 2014. ^ "Jim Ryun Running Camps". ^ Toppo, Greg (May 16, 2004). "Cheryl Brown Henderson". USA Today. Retrieved August 30, 2006. ^ Gunzburger, Ron. "Kansas". Politics1. ^ Ranney, Dave (November 8, 2006). "Democrats dominate". Lawrence Journal-World. ^ "Ryun Plans to Run for Congress". WIBW. Archived from the original on September 28, 2007. ^ "KS District 02 – 2008". Our Campaigns. Retrieved October 19, 2015. ^ Silva, Mark (August 24, 2006). "Bush slipping in the Senate, holding the House". Chicago Tribune. Archived from the original on April 30, 2015. Retrieved January 13, 2015. ^ "2006 Scorecard" (PDF). Republicans for Environmental Protection. Archived from the original (PDF) on June 15, 2007. ^ "Congressman denies improper real estate deal". NBC News. Associated Press. March 29, 2006. ^ Moon, Chris (October 23, 2006). "Ryun's story on Foley changes: Congressman has always known who lived across street". The Topeka Capital-Journal. Archived from the original on November 3, 2006. Retrieved November 16, 2006. Wikimedia Commons has media related to Jim Ryun.